Josh Fowler and Jeff "Fritz" Ilgenfritz tackle the harder subjects of the day: Martin Scorsese movies, the Periodical Table of Elements, drugs, and light-hearted comedy. Fritz inherits a ghoulish haunted house from his late uncle, Felix. There's only one catch: he's got to stay a night in the creepy old mansion to own it. Calling over some friends to help Fritz work up the nerves to overnight it doesn't go so well, as each of his guests tell campfire-like stories complete with sound ... Maggiori informazioni effects. If you like horror stories, scary facts, and spooky radio plays, this is your podcast! Get to know the people behind some of Central Florida's most influential businesses. Millionaire murder is the story of Palm Beach millionaire Geraldine Pucillo and an exterminator named Kim Cain. What really happened on June 13, 1996? A show dedicated to living, loving and learning all things delicious. Devin Siebold, James Yon, Shereen Kassam, and Miguel Colon Jr bring you the best in comedy! The News Junkie brings a fresh and compelling perspective of today's events often laced with a dose of humor. 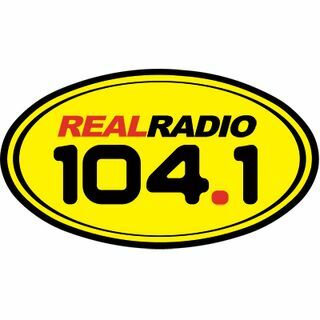 Heard on REAL Radio 104.1 Weekdays 11a-3p. Dickerman, Scott Harris, and Jimmy D give you the inside scoop on the Orlando theme parks and get it right 87% of the time. To The Top is a crazy fun mental ride that will take you to the top of hilarity with weird comedy and characters and opinion. Carlos's goal of To The Top is to make you think or make you laugh but at the end you should feel better than when you started!